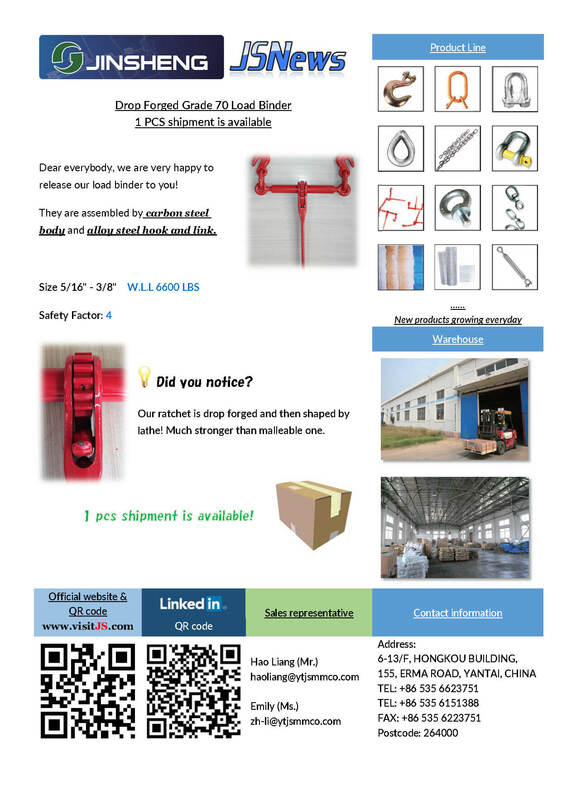 Home/Company News, Products, Lifting & Rigging Hardware, Load Binder/Grade 70 load binder / 1 pcs shipment is available! Dear everybody, we are very happy to release our load binder to you! They are assembled by carbon steel body and alloy steel hook and link. Our ratchet is drop forged and then shaped by lathe! Much stronger than malleable one. 1 pcs shipment is available!